The unboxing craze is here to stay! And you can admit you’re kind of here for it yourself. When I was little the fun was in simply getting a toy. We knew what to expect and didn’t care anything about the packaging. I mean, unless you count the cardboard box that we couldn’t get enough of. A case of the more things change the more they stay the same. Littles today still LOVE the cardboard box but now they really appreciate the packaging that comes with their toys. And they like to kind of be surprised about which toy is inside. Today’s littles ask for the brand not the specific item in the brand. 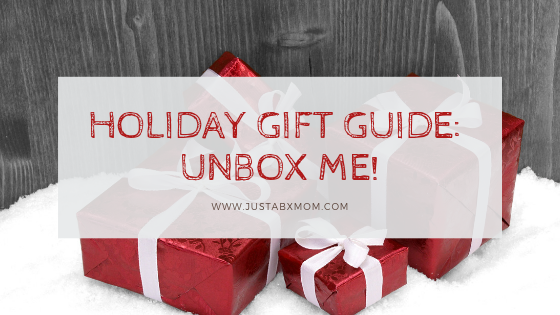 Here are a few unboxing items that are sure to be on your littles holiday wish list. Ryan’s World Surprise Mystery Egg – This is literally the golden egg right here! No two eggs are the same but they are all filled with fun surprises from the Ryan’s World Toys line. They have been flying off the shelf since the line came out. Don’t worry if you can’t find one of these on the store’s shelves you might be fortunate enough to find a few of the other products in the line. JustaBXgirl loves the slime and putty! Hairdorables – There are 36 of these to collect. How many have your littles got so far? There are three versions of twelve different dolls. These girls are all pretty fabulous and fun. They even have a Youtube channel so you can follow along on their fun. In the land of unboxing these are one of my favorites. Boxy Girls – Okay, so you know who you’re getting when you get these but how cool are the Boxy Girls? They’re friends just like us that are into online shopping and unboxing our buys! There are four girls to collect and each doll comes with four packages to unbox. Hatchimals Colleggtibles – We’ve been fans of Colleggtibles since they came out. We love that they come in egg cartons for a fun way to store them, These glow in the dark ones are on JustaBXgirl’s Christmas list! We can’t wait to get them and see how bright they glow. LOL Underwraps – When you think of unboxing toys LOL Dolls are one of the first to come to mind. Littles are obsessed and JustaBXgirl isn’t any different. My baby LOVES LOL Dolls. This mama isn’t always ecstatic about their price. I like my surprise toys to be inexpensive enough that I won’t mind getting duplicates. These cost a little more than I like to spend but that doesn’t mean for special occasions she won’t get one. She doesn’t have any Underwraps yet but come Christmas mama will change that. How many of these are on your littles list? The only thing we don’t have is Ryan’s toys egg. My mini wants one and so does her cousin. I cannot justify getting any toys lol All of these are great though. The Ryan’s Toys are hard to find. They are definitely top sellers everywhere this season.